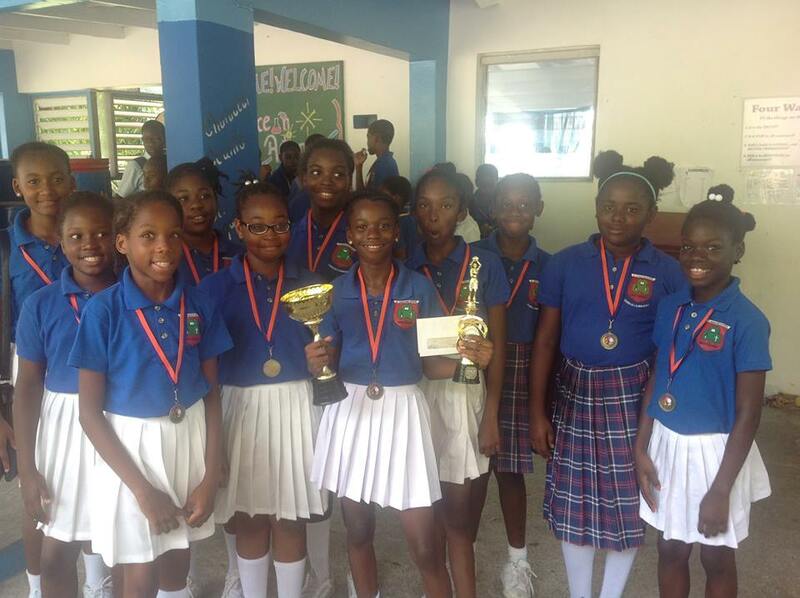 St Augustine Primary School held on to the trophies after a week of inter-primary school games. The private school came in as the champions in football, netball and cricket and worked hard to retain the titles for another year. In the final netball game, St. Augustine vs Brades, GS Shay-Reese Chambers made 21 attempts and shot 8 goals. GA Jaida Gerald mad 7 attempts and shot 3 goals for St.Augustine. GS Girandi Alcala had 7 attempts and shot 5 goals while Aryssa James made 4 attempts and shot 1 goal for Brades. 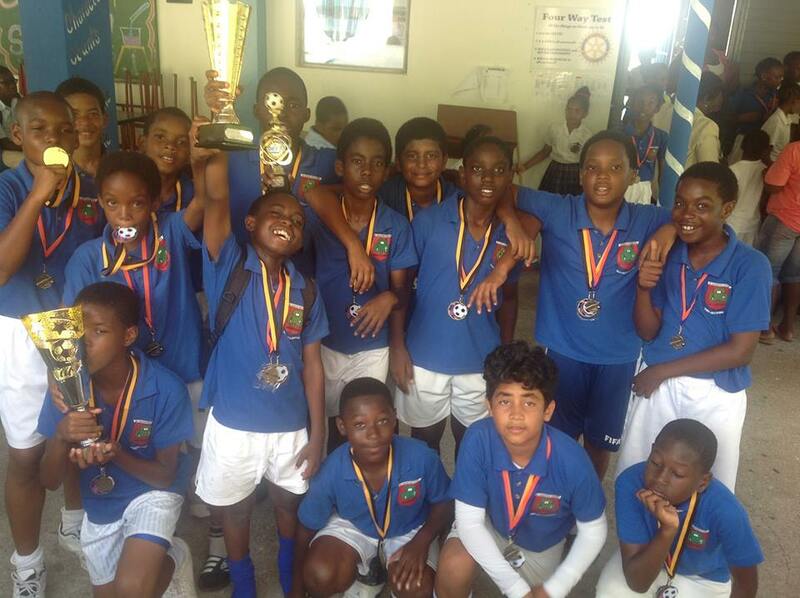 Substitute GS Maretha Greenaway had 1 attempt and shot 1 goal for Brades School. Final score St. Augustine 11 Brades 7. Brades won the toss and chose to bat first. Brades scored 69 all out off 19.5 overs. Batting for Brades: Danial Daley scored 16 Not Out. Jared Antoine scored 8. Best bowling for St. Augustine – Thanmay Gopal took 2 for 9 off 4 overs. Virshirn Roache took 2 for 14 off 3.5 overs. St. Augustine then replied with 71 for 1 off 14.2 overs. Batting for St. Augustine: Thanmay Gopal scored 24 Not Out. Virshirn Roache scored 15 Not Out. St. Augustine won the game. They also emerged winners of the tournament with a better Net Run Rate over Look Out who also finished with Three points. Most Valuable Player for the Tournament is Thanmay Gopal. Most outstanding player of the tournament went to Joshon Carney of St Augustine in which he received a cash prize of a $100 sponsored by Social Security and a trophy. There was a tie for the most goals between Qubert Williams and Princewill Madu, both scoring 3 goals a piece.